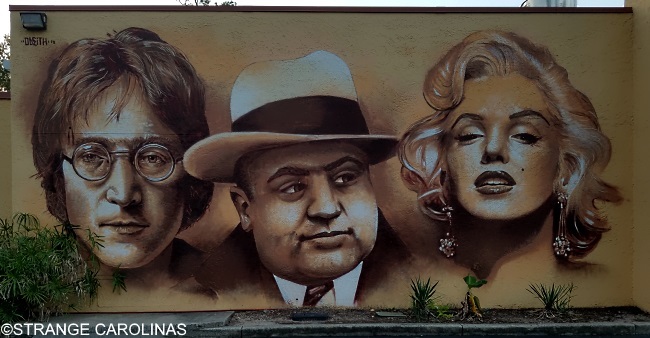 This mural of John Lennon, Al Capone, and Marilyn Monroe was created by Sergio Odeith in July of 2016. Because it was painted on the side of a Moe's Southwest Grill, the Mount Pleasant government lost its collective mind because they felt the mural was in violation of the town's zoning laws. Basically, they felt that since it attracted people's attention, the mural should be considered a sign and they don't allow signs that big on buildings. Cooler heads eventually prevailed and in June of 2017 (yes, nearly a year later), they decided to let the mural remain. 6. "Give Peace A Chance"
2. "(Just Like) Starting Over"